Two conditions are essential for the formation of Vavilov’s centers of origin (diversity) of cultivated plants (Вавилов, 1987B): the existence of plants suitable for introducing into cultivation in the local plant resources, and the presence of an age-old agricultural civilization. For lupin, both of these conditions are found in the Mediterranean region and on the American continent (territory of the modern Peru). These two centers of development of wild lupins were simultaneously the first places of them domestication. The history of lupin domestication has embraced more than four thousand years. Although lupin development processes in the Mediterranean and American centers went separately, they were similar enough. The earliest archaeological reports on lupins are referred to the XII dynasty of Egyptian Pharaohs (over 2 thousand years BC). In their tombs, seeds of Lupinus digitatus Forsk., already domesticated in those times, were discovered. Several empty pod valves seven seeds of this species were also retrieved in the tombs of this dynasty dated back to the 22nd century BC. They are the most ancient evidence of lupin in the Mediterranean (Zhukovsky, 1929). Andean pearl lupin (L. mutabilis Sweet.) was domesticated on the American continent by ancient inhabitants of the territory of the present-day Peru. The imprints of its leaves and seeds on the rock stored in the national museum of Lima testify to the ancient origin of this species. This rock dates back to the pre-Inca culture which existed in the 6th – 7th centuries BC (Майсурян, Атабекова, 1974). The forms of lupin cultivated in this period were a little different from the present-day ones. Their seeds were larger than those of wild forms. This may serve as proof that lupin was introduced into cultivation on both hemispheres even earlier. Modern domesticated lupin plants have partially changed their former exterior and biological properties. Breeding practice enhanced the development of plant qualities useful for man, and induced the loss of a number of traits characteristic of wild forms. There were repeated upsurges of common interest in lupin cultivation and its abatements in connection with arising difficulties. · Primary domestication of white lupin in ancient Greece and Egypt (earlier than 2000 BC) with the purpose of producing grain which was used after soaking as food for man and feed for animals, and also utilized in cosmetics and medicine. · Beginning of utilization of white lupin as green manure in ancient Rome and, subsequently, in others Mediterranean countries (about 800-1000 BC). · Primary domestication of Andean pearl lupin ”Tarwi” on the American continent (600-700 BC). · Beginning of domestication of yellow and narrow-leafed lupins for green manure production in Mediterranean countries and afterwards in Germany.
. Obtaining of the first low-alkaloid (sweet) forms of lupins in Germany (1927-1930) and in Russia (1929-1932). The method of their production was for the first time published in Russia (Иванов et al., 1932). After this discovery, lupin received the status of a fodder crop.
. Domestication of new lupin species in Australia, Russia, Finland and other countries (L. cosentini Guss, L. atlanticus Gladstones, L. polyphyllus Lindl. etc.). · The modern stage of lupin cultivation, when lupin received the status of an alternative to soybean in world agriculture as a source of protein and another useful substances. Lupin resources will be utilized in many branches of the world economy. The beginning of the history of lupin cultivation in the Old World is often associated with the times of the ancient Egyptian civilization (Zhukovsky, 1929; Майсурян, Атабекова, 1974; Таранухо, 1980). It is, however, more likely (Kurlovich, 1998) that originally white lupin was introduced into cultivation in ancient Greece where its greatest biodiversity was concentrated and wild-growing forms have been preserved until nowadays (ssp. graecus). Here, on the Balkan Peninsula, representatives of another subspecies of white lupin (ssp. termis and ssp. albus) turned wild and grows now in natural environments. Besides, the Grecian genesis of cultivated lupin is testified by lupin’s Greek name “termis”, that may be translated as “ardent”. Until now, in may countries of the world water-soaked and boiled lupin seeds are sold on markets and in bars as delicacies (like sunflower seeds). Utilization of white lupin was probably the same in ancient Greece. “… It is used both by man and by ungulates. It is necessary to clean it after rain. In this case, its grains do not fall out and are not lost at harvesting. It is a plant so wonderfully agreeable with the soil. At first, during the day it rotates together with the sun and shows time to the farmer even under a cloudy sky. It is the only plant sown without plowing (!). Lupin loves stony, dry and even sandy places. It does not require any maintenance at all. Fields and vineyards are improved by this crop. It does not require manure at all, being in itself the best fertilizer. It is the only plant which does not require any expenses or labor. It is the first to be sown and the last to be harvested, approximately in September. 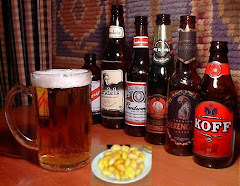 Modey (unit of weight or volume) of lupin per day makes an ox stout and strong. ”. Famous Marcus Terentius Varro (116 – ca. 27 BC) reported: “lupin is plowed instead of manure in the lean soil while it has not yet produced pods and sometimes stalks with beans”. Galen (AD 129-199) wrote about numerous applications of lupin, mainly about leaching its seeds in sweet water in order to use them for food. Pedanius Dioscorides (AD ca.20 – 70) in his 20th book recommends lupin as a remedy against abscesses, birthmarks and scab of sheep. He advised to sweeten the leached seeds, mill them into flour, and to add several drops of vinegar for whetting appetite. Columella (fl. 1st century AD) put lupin above other legumes. He recommended lupin as the best fertilizer “for depleted vineyards and fields, for exhausted soils”. Thus, it is possible to surmise that the value of lupin as green manure and in general its wide usability in agriculture was first acknowledged in Classic Rome, when the new second stage of lupin cultivation began. Romans, as well as Greeks, were fully aware of the medical and pharmaceutical value of lupin. Seeds, plants and decoction left after seed soaking were used as drugs. Plinius mentioned sixteen ways of applying lupin in medicine. It was also used as means of protection fruit trees from diseases. From Greece, and subsequently from Egypt and Ancient Rome, lupin was spread over all Mediterranean regions. In literature there are crumbs of information about the well-developed culture of lupin in the ancient and medieval Italy, France, Spain, Portugal, Algeria, Tunisia, Sudan, Israel and Turkey (Gladstones, 1974; Maissurjan and Atabiekova, 1974; Swęcicki, 1988). Concurrently with white lupin, yellow, narrow-leafed and other species of this crop started to be cultivated as sources of green manure and as ornamental plants, acquiring most high-yielding and beautiful forms among wild plants. Domesticated lupin spread from the Mediterranean area to other countries included in the so-called spheres of influence (Sinskaja, 1969). To these spheres of influencing she attributed, first of all, Central and Northern Europe, as well also Asia and Africa. In 1927, N.I. Vavilov collected white lupin at the river-head of Blue Nile in Abyssinia, where lupin had most likely come from Egypt. From Greece and Turkey white lupin penetrated northwards and eastwards, and reached Western Georgia, where the culture of white lupin has survived until recent times after many ages of cultivation under the local name of “hanchcoly”, which in Georgian means a bitter bean (Либкинд, 1931; Майсурян and Атабекова, 1974; Kurlovich, 1996). The parallel history of Lupinus mutabilis in the Andean highlands of South America is documented to a lesser degree. Zhukovsky (1929), Hondelmann (1984), Gladstones (1998) cited archaeological evidence of its cultivation in the 6th or 7th century BC, while in the Nazca (AD 100-800) and subsequent civilizations L. mutabilis formed a regular part of the crop rotation. Brücher (1968) notified that the Indians had removed bitter taste of seeds by washing them. It was impossible to remove alkaloids completely, and poisoning sometimes still occurred. Lopez-Bellido and Fuentes (1986) commented fertility-enhancing properties of lupins and reported their use in Andean religious rites and festivals. Well-known was also the curative role of alkaloids in the treatment of cardiac diseases, rheumatism, malaria and internal parasite infections, similar to the functions attributed to white lupin in Rome. The appearance of the Spanish and Portuguese conquistadors in the 16th century started a gradual decline in native Andean agriculture. The new society ignored lupins, and their cultivation became restricted to marginal subsistence agriculture in a few sites on very high altitudes. The interest toward lupin has been revived only in the last decade or two (Gladstones, 1998). The scraps of information about lupin, at first as a medicinal plant, date back to the Middle Ages, like in Central European countries. However, special agronomic literature on lupin in Central Europe came forth later. The agricultural history of bitter lupins in northern Europe began in 1781. The first impetus came from King Frederick II (Frederick the Great) of Prussia, who personally sent for seed of white lupin from Italy with a view to use it for improving the poor soils of northern Germany (Maissurjan and Atabiekova, 1974; Hondelmann 1984, 1996). But this attempt, as well as later northern European efforts with L. albus, for the most part failed, because the soils were too poor for it and the available genotypes was too late maturing in the region's short summer growing season. In this respect, the idea has appeared to use more early-ripening lupins: yellow lupin (L.luteus) and narrow-leafed lupin (L.angustifolius). Earlier, these species had already been effectively used as green manure in Morocco, Portugal and other Mediterranean countries (Klinkowski, 1938). Then, in 1841 a farmer named Borchard tried growing the garden yellow lupin, L. luteus. This was much more successful, and despite the continuing official support of L. albus, the cultivation of L. luteus and L. angustifoliusby 1860 had become an essential part of agriculture all over the acid sandy soils of the Baltic coastal plain (Hondelmann 1984; Gladstones, 1998). These species showed extremely high effectiveness as green manure crops, as witnessed by the experience of Dr. Albert Schltz of Lupitz (known as Schutz-Lupitz). On poor sandy soil in his estate, with the help of lupin he managed in 10-12 years to double the yield of potatoes and rye, and to pass overt to wheat on the best sites. The results are widely known. Owing to him, yellow and narrow-leafed lupins began to be cultivated on a wide scale in many countries with the purpose of increasing fertility of poor sandy soils (Maissurjan and Atabekova, 1974). Besides, the experience of Schutz-Lupitz served as a catalyst to the discovery of the phenomenon of lupin nitrogen-fixing ability, as a result of which his practice has also obtained theoretical explanation. After these experiments (the middle of the 19th century), the next stage in cultivating several lupin species for green manure and other purposes was initiated. A little later, however, with the beginning of mineral fertilizer production, the interest in lupin cultivation for green manure in Germany declined once more, though, on the other hand, the need for seeking low-alkaloid fodder forms emerged. In the middle of the 19th century, lupin spread from Germany to Polandwhere there was abundance of mild sandy soils requiring reclamation. Cultivated at that time were bitter-tasted populations of yellow and narrow-leafed lupin, which were plowed down as green manure, or used, despite their bitter taste, as a feed for sheep. After the initial expansion of lupin cultivation, its temporary decrease, especially in seed production, occurred at the end of the 19th century, probably due to frequent poisoning of animals with alkaloids (Kubok, 1988). During World War I, lupin cultivation began to grow continuously owing to the necessity of widening food production areas to light soils, with simultaneous decrease of mineral fertilizer production. At that time, lupin breeding activities were started in Poland. The first breeding works involving populations of bitter narrow-leafed lupin were carried out as early as at the end of the 19th century by Sempołowski at Sobieszyn. Sypniewski, who bred a number of bitter narrow-leafed cultivars such as Puławski Wezes­ny and Puławski Wysoki, and continued his works in l920s at the Institute of Puławy. He was one of the first breeders, who began systematic genetic studies on this species (Kubok, 1988). In Russia, the first mention about lupin as an ornamental plant appearedin 1811 in the papers of the Free Economical Society. Utilization of lupin for green manure came to Russia from Poland when it had been divided into three parts (1772, 1793, 1795) and partially incorporated in the Russian empire. The first harvests of lupin for green manure were reported beginning from 1903 in Chernigov province. In the following years the centers of lupin studies and breeding were organized: Novozybkov Experimental Station in Bryansk province, Bieniakonsk Experimental Station on sandy soils of the forest-steppe zone in the western part of the Russian Empire (now it is a territory of Poland), and also a number of facilities in Byelorussia and the Ukraine. Thanks to their research activities and released cultivars, the area under lupin in the European part of the Soviet Union by 1935 reached 100 thousand hectares (Майсурян and Атабекова, 1974). Lupin has always attracted attention by its unpretentiousness and ability to grow on sandy acid soils where cultivation of other crops would be economically inexpedient, as well as by its high content and quality of protein and oils. Prof. D.N. Pryanishnikov (Прянишников, 1931, 1962) called lupin a surprising plant and compared it with “the barrel of honey”, in which, however, there is a hateful “spoon of tar”. He meant the presence of alkaloids in lupin, causing not only bitter taste but also toxicity for man and animals. In view of this, the problem of finding alkaloid-free forms of lupin was repeatedly roused in the history of this crop (Roemer, 1919; Прянишников, 1920,1923). Prof. E. Baur who in 1920ies was Director of the Kaiser Wilhelm Institute in Berlin later supported this idea. He cited Vavilov’s Law of homological series in hereditary variation as the reason to connect low alkaloid content with mutations, which sometimes happened in the nature or were induced synthetically. One of the students who in 1927 listened to Baur’s lectures was R. von Sengbusch. After studying the earlier works of Prof. Pryanishnikov and hearing the lectures of Prof. Baur, he took up the challenge of devising a method to be used in screening the diversity of lupins. R. von Sengbusch worked out the method of fast definition of alkaloids, analyzed great diversity of plants and found among them low-alkaloid (sweet) forms. These forms were promptly propagated and used as initial material for creating the first fodder cultivars of yellow and narrow-leafed lupin. The seeds quickly multiplied. Finally, before World War II, the area under fodder (sweet) lupins in Germany exceeded 100 thousand hectares. But the new methods and results of German breeding had been secret and were published only in 1942 (Sengbusch, 1942). The exclusive right for the sale of seeds was delegated to a private German corporation. In the meantime, the export of seed was impeded by strict clearance check-up. Hence, a fast method of detecting alkaloids by means of solution of Burhard was developed in the Institute of Plant Industry (VIR) under the leadership of Prof. N.N. Ivanov. It was immediately and for the first time in the world published with the foreword by N.I Vavilov. Vavilov expressedthat "... We do not conceal the results obtained by us but make them generally known, in order to interest in this discovery the scientific workers of our country, as well as those abroad. In the present work the Institute of Plant Industry publishes the results of its researches as well as an instruction for the determination of alkaloidless lupins" (Иванов et al., 1932). With the help of the new method, the first sweet cultivar of yellow lupin, Yubileiny, and also many low-alkaloid forms of L polyphyllus were bred in 1932 in VIR. The above-mentioned publication by VIR as well as the discovery of German scientists was a capstone of the modern breeding work with low-alkaloid fodder (sweet) lupin in the whole world. Lupin obtained the status of a valuable fodder crop plant. In the former USSR, the first breeding program of releasing fodder lupin cultivars was launched by Fedotov, Sharapov and other scientists of VIR, by Bozenova of Novozybkov Experimental Station in Bryansk province, and by Swirski of Minsk Experimental Station. Successful work with different species of lupin was organized in the following years at Chernigov and Polessk Experimental Stations in the Ukraine, at Moscow Agricultural Academy, Byelorussian Agricultural Academy, Byelorussian Institute of Agriculture, Byelorussian State University, Grodno Experimental Station, Ukrainian Institute of Agriculture, Institute of Agriculture of the Central Non-Black-Soil Zone, etc. As a result of these works, the area under lupin in the former USSR by 1959 had reached 1132 thousand hectares (Майсурян, Атабекова, 1974). Particular progress in yellow lupin breeding was attained in postwar years by K. Savichev (Novozybkov Experimental Station) and G. Taranukho (Byelorussian Agricultural Academy). Savichev’s cv. Bystrorastushchy 4 in due time was cultivated in 30 provinces of the former USSR. Later, Prof. Taranukho released an ultra-early cultivar, Academichesky 1, that is still recognized as the reference point of new breeding achievements. Breeder V. Valovnenko was the first in the world to discover the form of yellow lupin with determinate branching. He was the author of a series of cultivars with this valuable character (Zhitomir anniversary, Iskorost, etc.). It is for a long time already that the breeding of narrow-leafed and white lupins is conducted in Moscow Agricultural Academy. Super-early cultivars of narrow-leafed lupin were created there: Northern-3 (by Majsurian), Timir-1 (by N. Pukhalskaja), Ladny (by N.Klochko). Prof. G. Gataulina in cooperation with other research institutions bred ultra-early fodder cultivars of white lupin (Start, Manovitsky, etc). Great progress was made by the Ukrainian Institute of Agriculture (V.Golovchenko, O. Golovchenko, N. Solodyk and other breeders) in white lupin breeding. Cvs. Kievsky mutant, Primorsky, Gorizont, Ukrainsky, Dnieper, Pishchevoy etc. were produced by the method of hybridization and induced mutagenesis with the use of accessions of the Georgian ecotype and Palestinian geotype. The Institute of Agriculture of the Central Non-Black-Soil Zone released a series of fodder cultivars of narrow-leafed lupin, among which cv. Hemchinovcky 846 (authors: G.Debely, V. Fedotov and L. Kalinina) became the most widely known. Fusarium resistant cultivars of yellow lupin (Kastrychnik, Narochansky, Zhodinsky) were created by Dr. M. Lukashevich, breeder of the Byelorussian Institute of agriculture, while cultivars of narrow-leafed lupin (Gelena, Selena, etc.) by the breeder N. Kuptsov. With the purpose of complex research on lupin-related problems, the specialized All-Russian Institute of Lupin was founded in 1987 in Russia (near Bryansk). It has undertaken large-scale work on breeding, seed production, cultivation technology and utilization of lupin. In 1960’s-70’s, lupin was cultivated for grain in ex-USSR on the area of about 600 thousand hectares, and the areas under this crop for green forage and green manure approached 2 million hectares (Такунов и др.1993). Regretfully enough, now the areas under lupin in Russia have reduced (for more details see the last section). The method of fast alkaloid determination published in Russia was effectively used in Poland (Kubok, 1988). In a short period of time, plenty of fodder (sweet) cultivars of different lupin species were released in this country. More detailed information on the results of breeding work with lupin in Poland is presented in the section „Eco-geographic classification of lupins”. As a result of these works, the area under fodder lupins in Poland was expanded to 350 thousand ha (Kubok, 1988). Situation with cultivation of lupins in other countries now is following. Australia Prominent success in acclimatization of narrow-leafed lupin and its other species was achieved by scientists in Australia. As a result of implementing the scientific project under the supervision of Dr. J.S. Gladstones (launched in the fifties), the area under fodder lupin in this country grew to exceed 15 million ha (Nelson, 1994). According to the data of Cox (1998), sweet lupin seed has been used as a feed since it was first produced within Australia. Initially the most favored application was its use as a sheep feed. Ongoing research investigating its nutritional value across a range of ruminant and monogastric livestock types resulted in significant expansion of its use as a feed to the point wherein sweet lupin seed is utilized in many intensive and non-intensive Australian livestock industries. Australian domestic usage of sweet lupin seed is estimated to be in excess of 350,000 t per annum. Competitive protein products include imported soybean meal, canola meal, field peas and other grain legumes. Sweet lupin has been successfully bred into a new crop plant around the world. International markets for lupin seed have been established. Australia, as the world's largest exporter of lupin (L. angusifolius), is the dominant force in the international marketing and trade of lupin. The Netherlands, Belgium and Germany. 150,000-250,000 t per annum – mostly compound feed formulae and dairy rations. Sweet lupin seed is commonly used in dairy rations. It competes as a protein and energy source with competitive products often including corn gluten feed, palm and corn products, rapeseed meal, citrus and beetpulps. The highly sophisticated industry, with access to a broad range of ingredients, creates a very competitive market environment. The industry is generally not committed to any commodity and the major companies constantly trade in and out of materials, depending on price relativity. The market has the depth to absorb large quantities of sweet lupin seed at varying price levels, depending on ration formulation (Cox, 1998). Spain and Portugal. 120,000 t per annum – all livestock types. Consumption is highest in the ruminant sector, with limited utilization in monogastric diets at low inclusion rates. Chief protein competitors include soybean meal, corn gluten feed, rapeseed and sunflower meals, meat and bonemeal. Sweet lupin seed was initially targeted into limited geographical areas specializing in cattle production in order to extract the highest market price (Cox, 1998). Italy. 20,000-50,000 finishing beef cattle. Ready access to inexpensive domestic soybean and sunflower meals pre­clude wide-scale usage on a cost comparative basis. High freight costs for small parcel shipments is also a significant limiting factor (Cox, 1998). Republic of Korea. 105,000 t per annum – all livestock types, aquaculture. A major trading company in Korea established a sweet lupin seed dehulling plant in the late 1980s to enable the seed fractions to be used most effectively over all animal types. The major protein competition in this market includes domestic and imported soybean meal. Japan. 115,000 t per annum – cattle. The whole seed is flaked and incorporated into a balanced diet of partially processed ingredients typically comprising flakes of corn, sorghum and vitamin/ mineral supplements. Domestic and imported soybean meals have been partially displaced by sweet lupin seed. Indonesia. 5000-8000 t per annum – human consumption, cattle. The hull material is utilized in cattle diets. Indonesia is the first commercial export market for Western Australian lupins for human consumption. Israel. Sales were conducted for several years in the mid 1980s for use in cattle diets. Marketing opportunities tend to be limited because of price competition from cheap alternative protein sources, particularly cottonseed meal. High freight costs from Western Australia often present difficulties (Cox, 1998). Taiwan. Significant quantities were sold to feed compound in the 1980s and now this market is regularly taking small parcels of sweet lupin seed (Ford, 1990, Cox,1998). In addition to the key and regular market outlets of the European Union, Japan and Korea a number of other markets have also been investigated by Australian farmers and businessmen (Cox, 1998). The Middle East, United Arab Emirates, South America, Thailand and the Philippines have feed industries capable of taking a significant portion, if not the bulk, of the Australian sweet lupin seed crop. Although many of these countries have imported sweet lupin seed in the past, they have not been able to compete consistently against the price offered for sweet lupin seed by key traditional markets. Often this is due to the availability of cheaper protein meals from countries in close proximity, restrictions on the allowable import volume of imported protein meals or high tariff levels on sweet lupin seed. These markets continue to evolve and may at some later stage provide valuable opportunities for Australian producers (Cox, 1998). South America. South American farmers produce a number of lupin species (L. albus, L. luteus, L. angusti­fohus). However, greatest attention is given to local Andean lupin (L. mutabilis Sweet. ), which is cultivated from ancient times (Gross, 1982). Many of these species have alkaloid levels in the seed that are much higher than those in Australian sweet lupin cultivars. But low-alkaloid (sweet) forms were found out also at this ancient species, which also has received the status of fodder crop and is widely cultivated in Latin America and in Europe. 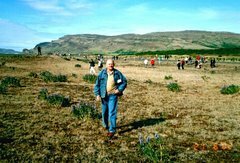 The work on breeding, development of cultivation technology, use and sale of lupins is most intensively developed in Chile, under the management of Erik von Baer. The large scale production and industrial utilization of lupin in South America will only be possible if a dynamic organization can be achieved that combines, in a profitable way, research, production, processing and merchandising of this product. This is feasible only with an integrated private and public effort, like in Australia. Chile achieved the stepwise increase of the area cultivated with lupins, from 329 ha in the season 1973/74 to 16,000 ha in 1992/93 (Baer E, 1986, 1989, 1994). The specific achievements and limitations are in the countries of Latin America. To make industrial utilization of lupin possible in Peru, it is necessary to grow sweet cultivars or to utilize the alkaloids from bitter varieties. The priority to obtain disease-resistant forms is established in Brazil (Baier, A.C. and Linhares, 1990). Lupins have to go directly into competition with other protein sources like soya-bean, fish meal and energetic sources like corn and others. Considering the lower prizes of these, it has to be calculated how much Lupin production can cost, and then it is necessary to guarantee to the user a steady provision of a standardized product all over the year (Baer E, 1994). Production made from lupin in Latin America (L. albus and L. mutabilis) is also exported as a food to countries such as Egypt, Israel and the Middle East in competition with Australian resources. Products from sweet lupins have been cleared for use as food supplements in milk substitutes for intervention programs (Aguilera, 1988). An industrial plant has been producing up to 50% of protein requirements for milk substitutes with typical formulations being 6~73% wheat flour, 12% lupin meal, 12% skim milk and 5% soybean oil. Other uses are as extrusion - pre-cooked lupin flours and additives in sausages and jams (Cox, 1998). Thus, South America keeps presenting good possibilities for the production, consumption and perhaps exportation of lupins (Ford, 1994). In the future, it can become the worthy competitor of Australia. North America. Narrow-leafed lupin is growing in the USA in spite of the huge potential of this country in producing soybean. Trials on others lupin species will be made there (Clapham and Willcott, 1995). 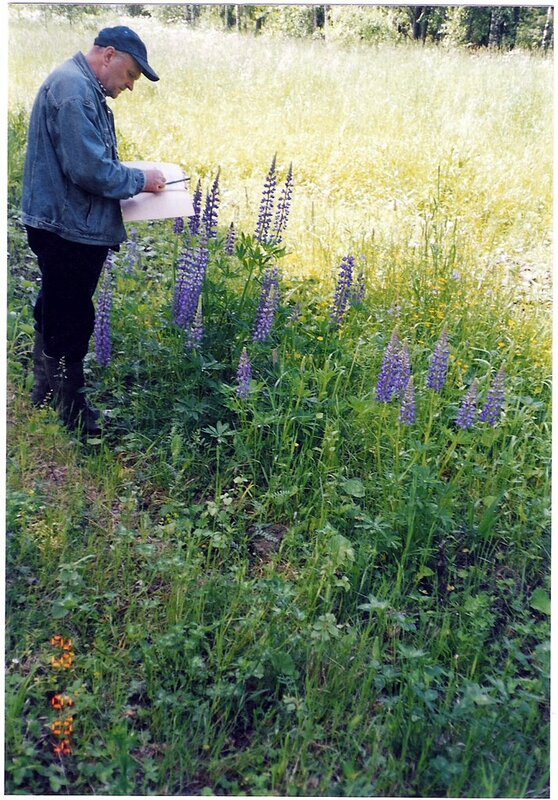 Characteristics of the cultivars released in the USA are given in the section “Eco-geographic classification of lupins”. Gradual domestication of other new species of lupin began after the methods of searching low-alkaloid forms had been discovered. 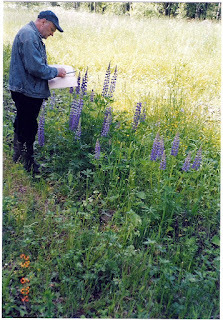 One of these species is the multifoliate or Washington lupin (Lupinus polyphyllusLindl. ), which is frequently called perennial or long-term lupin. It was brought in Europe from America and migrated to many European countries as a wild plant or the one turned wild. It has often been grown for green manure and for ornamental purposes. Prof. Pryanishnikov was an eager initiator of introducing multifoliate lupin in agriculture as a fodder plant. However, repeated attempts to develop fodder (sweet) varieties of multifoliate lupin (L. polyphyllus Lindl.) and other perennial species (L. perennis L., L. nootkatensis Donn, L. arboreus Sims.) cannot be recognized as essentially successful because of the difficulties induced by their perennial lifestyle and cross pollination habit (Kurlovich et al., 1995). It proved impossible to stabilize low alkaloid content in these cross-pollinated species. Owing to complimentary interaction of different genes determining this character, the alkaloid content tended to restore (Maissurjan and Atabiekova, 1974; Turbin and Anohina,1974). That is why bitter plants are found in the crop, preventing wide use of grass and seed for fodder. However, in the last years it has at last become possible to develop a technique for obtaining sufficiently stable fodder forms of L. polyphyllus at the N. I. Vavilov Institute of Plant Industry (Чекалин and Курлович, 1989; Курлович and Чекалин, 1992; Kurlovich et al, 1995). This technique is discussed in detail in the section “Methods of breeding”. It helped to breed a fodder variety of multifoliate lupin called Truvor, which now undergoes state trials in the Ukraine. Under the conditions of Northwestern Russia, positive results have been reported with the commercial cultivar Pervenec (first sweet variety), bred by us and included in the State Catalogue of Breeding Achievements in Russia. Since 1996, we have been conducting breeding work with multifoliate Washington lupin in Finland. The cultivar of fodder multifoliate Washington lupin SF/TA has been bred also in Finland by Aniszewski (1993). Application of the developed methods of breeding fodder (sweet) multifoliate Washington lupin (L. polyphyllus Lindl.) for low alkaloid content provides a possibility to produce high-yielding fodder (sweet) cultivars of this perennial species for different eco-geographical conditions with low alkaloid content and a set of valuable biological and commercial characters. Multifoliate Washington lupin can be grown for fodder and seed in the countries with limited agricultural resources and with a deficit of vegetation period for other lupin species, particularly in the northwestern areas of Russia (Kurlovich et al., 1995), Finland, (Aniszewski,1993), Sweden (Maissurjan and Atabiekova, 1974), and other northern countries. Introduction of perennial fodder (sweet) multifoliate Washington lupin into agricultural production of many countries will stimulate a significant increase in soil fertility, production of protein-rich fodder and, consequently, productivity of animal husbandry. These methods may also be applied to such cross-pollinated lupin species as L. nootkatensis Doon..L. arboreus Sims., L. perennis L., L. elegans H.B.K., L.hartwegii Lindl., etc., promising for utilization in agricultural production. The project on domestication of the rough-seeded lupins is successfully realized in Australia (Buirchell, 1994). There are very few cultivated lupin species adapted to fine-textured and alkaline soils. Some rough-seeded lupin species grow naturally on these soils in the Mediterranean region. Breeding of rough-seeded lupins in Western Australia has resulted in the first filly domesticated species L. cosentinii and is close to domesticating L. atlanticus and L. pilosus. In 1970s J.S. Gladstones bred Errequella-S, the first cultivar of L. cosentinii, which is characterized by low alkaloids, early flowering and soft-seediness. Now this cultivar is widely cultivated in the coastal area of Western Australia. Besides, low-alkaloid and white-flowered forms were identified in L. atlanticus and L. pilosus, which are included in large-scale breeding programs. These two species have great potential for cutivation on fine-textured alkaline soils in southern Australia (Buirchell, 1994, Buirchell and Cowling, 1998). Interspecific crossing with the fully domesticated L. cosentinii was used to transfer soft-seediness genes into L. atlanticus. Crosses between L. atlanticus and L digitatus have produced early flowering lines. Shatter-resistant pods, while not being detected in primary crosses of L. atlanticus and L. cosentinii, have been selected in crosses where L. digitatus is part of the combination. L. atlanticus now has all the domestication genes in a number of lines which will be combined into the fully domesticated cultivars. Mutants of L. pilosushave been also selected with soft seeds and low alkaloid levels. Further development of these species may provide alternative grain legume species for fine-textured and alkaline soils (Buirchell, 1994, Buirchell and Cowling, 1998). There are also similar references on the attempts to introduce such species as L. arboreus, L. nootcatensis, L. succulentus etc. into cultivation process (Шутов, 1982, 1984). At the 7th International Lupin Conference in Portugal, the Polish scientists W. Swęcicki, B.Wolko and K. Jach have reported the discovery of a new Mediterranean species Lupinus atlanticus Swiec. (Swęcicki et al., 1994). The present stage in the development of lupin science and production is characterized by ever increasing interest in lupin as an alternative to soybean in the world agriculture in connection with the deficit of protein. Many countries (Australia, USA, Germany, Poland, France, Spain, Portugal, Chile, Israel, South Africa, New Zealand, etc.) are developing national breeding programs on different lupin species. International conferences on lupin are regularly held, and the International Lupin Association (ILA) has been founded by UNO. In Russia, where climate resources for cultivation of soybean are limited, lupin in the long term can play the same role as soybean has in the USA, i.e. it may become a highly effective source of protein, the means to increase the fertility of soils, a tool of environmental protection, raw material for medicine, perfumery, etc. Studying the history of lupin domestication leads to a number of generalizations that may be useful for obtaining new forms by means of conscious selection. Two species of lupin (white and Andean) entered the agricultural production in two completely separate parts of the globe. Their domestication processes went on independently for thousands of years, but they were nevertheless similar enough. These processes were both connected with primitive agriculture with little involvement of breeding techniques. The other two crop species (yellow and narrow-leafed lupins) were domesticated much later and faster, when the agriculturists learned to carry out breeding work more consciously. And finally, such species asLupinus cosentinii, Lupinus atlanticus and others are now being domesticated by methods of modern scientific breeding and biotechnology. The domesticated species (except maybe L. mutabilis) have their wild relatives growing in natural environments, and their habitat in the Mediterranean region significantly overlaps the areas of cultivated forms. These circumstances make it possible to compare directions and purposes of lupin breeding in different times and with different species. The basic purpose of cultivation of the majority of lupin species was and is the production of seed used for food even in the ancient times after being cooked and macerated. The changes that occurred in the process of lupin domestication have been connected, first of all, with the size and color of seed. Domesticated forms have, as a rule, larger seed of white color. For example, on the Balkan Peninsula there still remains the wild ancestor (ssp. graecus) of white lupin. Its plants have dark-brown and dotted seeds, much smaller in size than those of the domesticated white lupin forms. In the western hemisphere, from Canada to Argentina, several hundreds of lupin species are grown, and all of them are characterized by small seed size. Ancient Peruvians obtained the cultivated large-seeded species (L. mutabilis) from such a diversity of forms (Zhukovsky, 1929; Либкинд, 1931). Now it is not an easy task to establish a direct wild ancestor of this species. The absence of the forms of similar size in the wild vegetation of America, and easy crossing of L. mutabilis with many other wild-growing species of lupin testify that it has a hybrid origin (Майсурян and Атабекова, 1974). On the other hand, according to Blanko (1982), wholly wild ancestors use to grow within the area of traditional cultivation of L. mutabilis. However, their leaves are smaller and have narrow leaflets, the pods are smaller and dehiscent at maturity, and the seed are also much smaller, black or marbled, and water-proof. Natural cross-pollination is very common between wild and cultivated species (Pakendorf, 1970; Gladstones, 1998). However, on the American continent breeding practice also pursued the size of seed and their white color. White coloring of seeds occurs in the wild species in America seldom enough, although it can be found in many other plant genera as well. In the course of selection, such traits have appeared as soft-seediness, facilitating fast and amicable seed germination, and non-dehiscence of pods. There were anatomic changes in the structure of pods that provided the farmers with protection against shattering in the process of domestication. There were also similar changes in the chemical composition of seed. The same domesticated forms, besides the high content of protein (up to 40-50%), also acquired rather high oil content (up to 15-20%). Such content of protein and oil cannot be found in wild forms. Domesticated forms, as a rule, display a shorter vegetation period, and their prevailing type of branching is sympodial. Finally, fodder low-alkaloid forms have been obtained in both Mediterranean and American species. These facts testify to the similarity of requirements set by the farmers in different parts of the globe. It is possible to find out the same regulations with the changes that domesticated yellow and narrow-leafed lupins have undergone, though the selection process in these species advanced more consciously and speedily. The breeders were also striving to select large-seeded forms and preferably with white and soft testa of seed, increased protein content, sympodial and limited branching, non-dehiscent pods, low alkaloid content, and other characters useful for man. The present-day process of domestication of new species (L. cosentinii, L. atlanticus etc.) is also going in the above-specified directions. However, owing to the achievements of modern science and with the help of novel bioengineering methods (biotechnology), it runs faster. In view of this, it is possible to take for granted that the history of lupin domestication is not finished, and that many new valuable species within the genus Lupinus will be selected for human use. Thank you for posting such detailed information on Lupin domestication. I am a hobby gardener, but have become very interested in growing legumes not commonly found in our part of the United States. I will use your information to find species for spring planting next year. Your blog ist very interesting. I always was passionate of lupin but I don´t understand why local farmers don´t profit it. Now I see great interest on it in bioculture because of Monsanto´s aberration GMO soybean. Cultivators of those system production must prove that their soy is not a genetic modified organism ¿? I never found a so strong example of how industrial croping contaminates. I still thinking lupins are interesting protein alternatives against soy. The open polinisation cause of multiple subspecies make dificult the choice of comercial seeds but this crop seems to consolidate importance in East Europe and Australia. I want to add a personal opinion on the primitive spreading of lupins. In portuguese and spanish border is a non harvest use "tremosillas" or "altramuces" "a diente" where sheeps and goats re-sow whith their hooves and spread through transhumances. Divulgations works are needed but time pass until comercial varieties could be reliable enough. For long term I think that the chemical soy croping whith herbicides ll not be sustainible because of weed resistances.